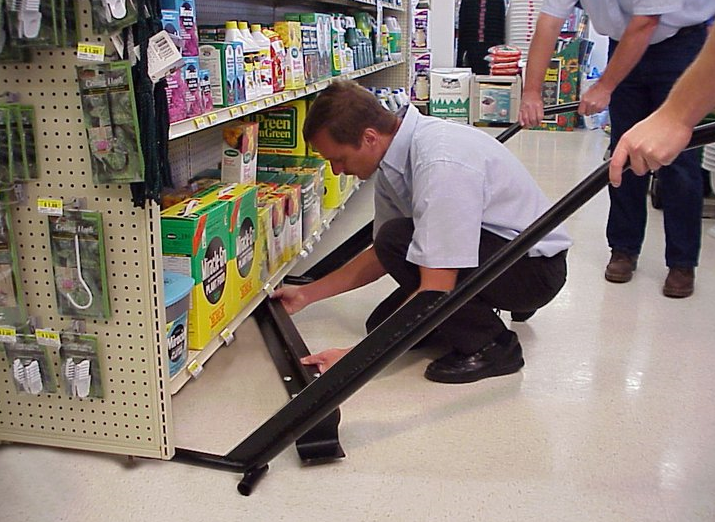 From Blazer, you can rent our Gondola Train™ shelf moving system to assist in relocating your shelving sections during remodels or renovations, or just when you want to change the location of your shelving set up. The Gondola Train™ shelf moving system was designed to make moving your gondola shelving easier and faster than was previously possible. Save time and money! 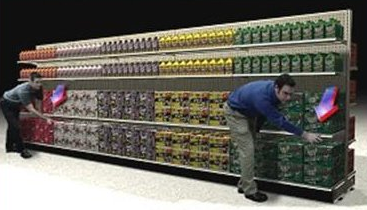 You can move the shelves in complete sections, without removing stock, no need to dismantle, and you can allow customers to continue to shop the sections. The Gondola Train™ can help you get renovations done quickly and easily. Call us for information on renting this unit.